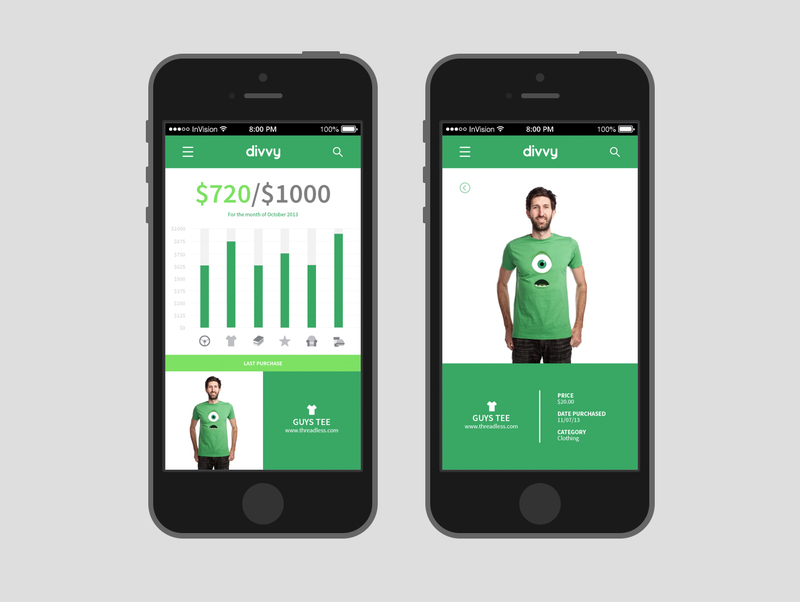 Divvy is a mobile and web app designed to keep track of online spending via PayPal. Using PayPal’s data, Divvy automatically creates charts and info graphics based on recent purchases, predicts spending trends, and creates budgets. This was created in collaboration with my mentorship through Interaction Designer Alex Minev from Tactica. 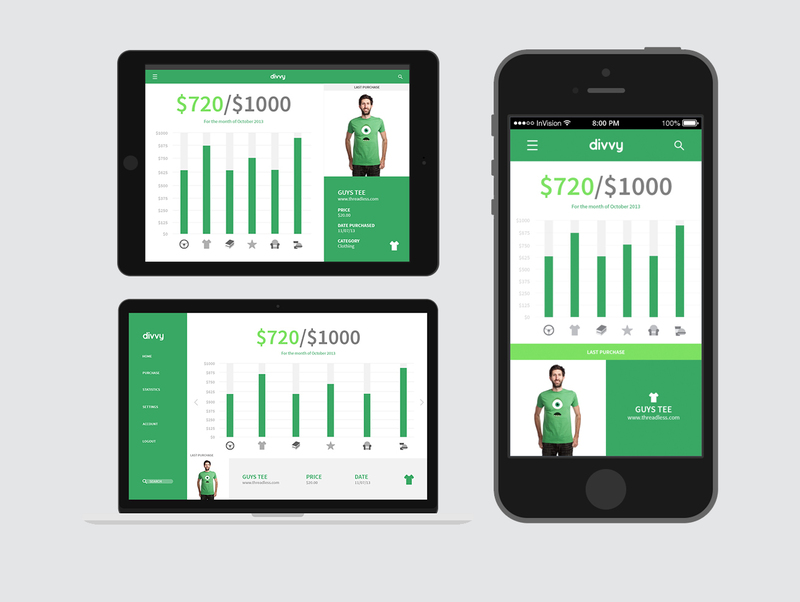 The objective of Divvy is to present information in a very visual way to make finances both easy, and enjoyable. Using bright colours and a friendly, rounded font, keeps Divvy’s UI from seeming stressful or complicated. Users, who may normally be daunted to keep track of their finances can feel in control when they can easily access and understand their finances.